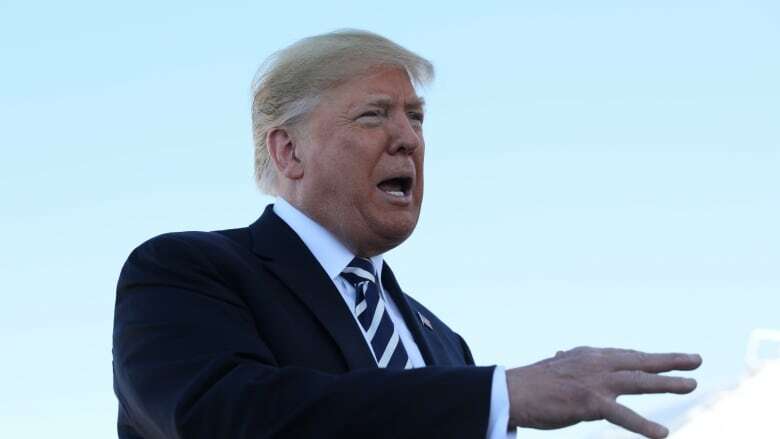 U.S. President Donald Trump says his intention to scrap a landmark arms control agreement with Russia follows years of violations by Moscow in developing prohibited weapons. U.S. President Donald Trump says his intention to scrap a landmark arms control agreement with Russia follows years of violations by Moscow in developing prohibited weapons, and "we're not going to be the only one to adhere to it." The Kremlin said the pullout "would be a very dangerous step." 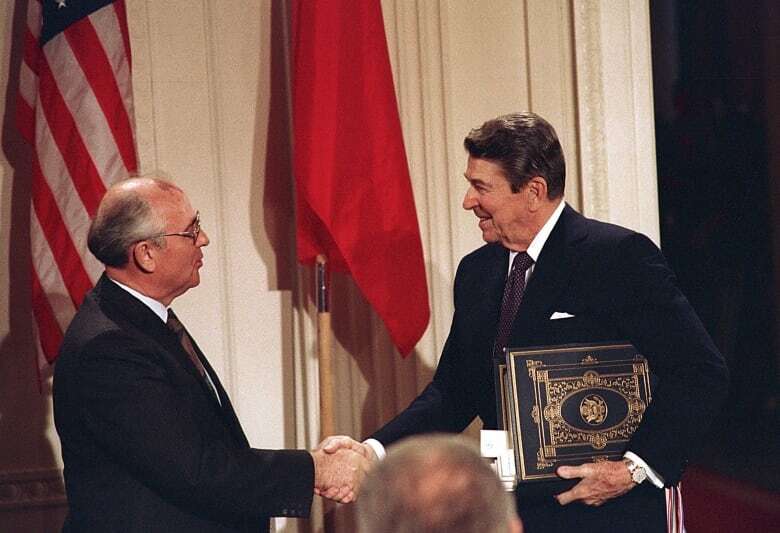 The 1987 Intermediate-range Nuclear Forces Treaty helps protect the security of the U.S. and its allies in Europe and the Far East. It bars the United States and Russia from possessing, producing or test-flying a ground-launched cruise missile with a range of 500 to 5,500 kilometres. "Russia has violated the agreement. They have been violating it for many years," Trump said Saturday after a rally in Elko, Nev. "And we're not going to let them violate a nuclear agreement and go out and do weapons and we're not allowed to." The agreement has constrained the U.S. from developing new weapons, but America will begin developing them unless Russia and China agree not to possess or develop the weapons, Trump said. China is not a party to the pact. Trump is sending his national security adviser, John Bolton, to Moscow for meetings with Russian leaders, including Foreign Minister Sergei Lavrov and Security Council Secretary Nikolai Patrushev, and was expected to relay the news about Trump's decision. "This would be a very dangerous step," Russia's deputy foreign minister, Sergei Ryabkov, was quoted as telling state news agency Tass on Sunday. He said a U.S. withdrawal "will cause the most serious condemnation from all members of the international community who are committed to security and stability." Germany's Foreign Minister Heiko Maas also responded on Sunday, saying the U.S. should consider the consequences of a withdrawal, both for Europe and for future disarmament efforts. "The treaty ... has for 30 years been an important pillar of our European security architecture," Maas said in a statement. 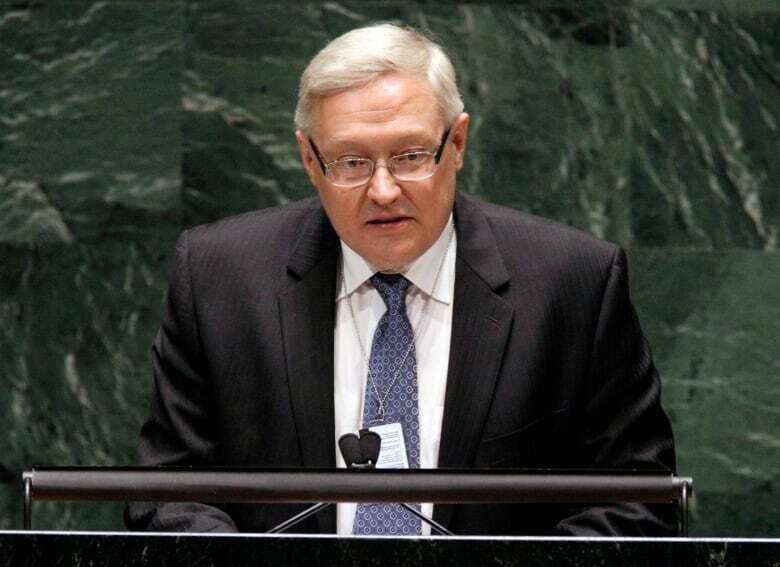 "We have often urged Russia to address serious allegations that it is violating the agreement. We now urge the U.S. to consider the possible consequences." U.S.-Russia relations already are strained as a result of the Ukrainian crisis, the war in Syria and allegations of Russian meddling in the 2016 presidential race and upcoming U.S. midterm elections. Trump did not provide details about violations. But in 2017, White House national security officials said Russia had deployed a cruise missile in violation of the treaty. Earlier, the Obama administration accused the Russians of violating the pact by developing and testing a prohibited cruise missile. U.S. Defence Secretary James Mattis has previously suggested that a Trump administration proposal to add a sea-launched cruise missile to America's nuclear arsenal could provide the U.S. with leverage to try to persuade Russia to come back in line on the arms treaty. An independent Russian political analyst, Dmitry Oreshkin, said, "We are slowly slipping back to the situation of Cold War as it was at the end of the Soviet Union, with quite similar consequences, but now it could be worse because [Russian President Vladimir] Putin belongs to a generation that had no war under its belt."